The Oxford 38 in. 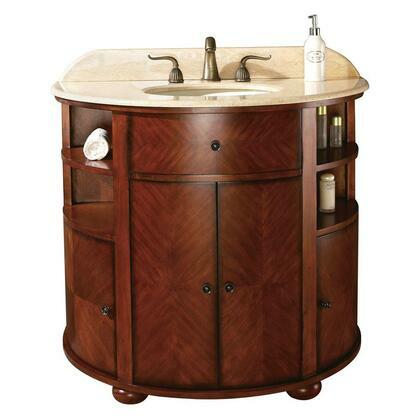 vanity has a unique half moon design that is classic in a dark oak finish. 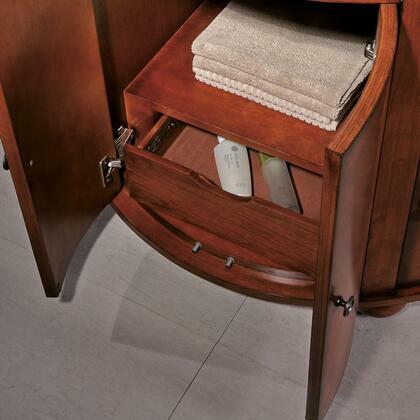 This vanity gives you abundant storage with four soft close doors and one concealed drawer. 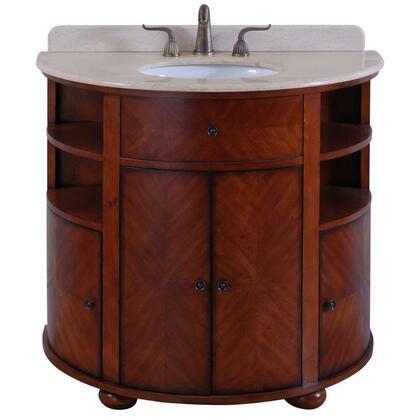 The antique brass hardware accent this piece. 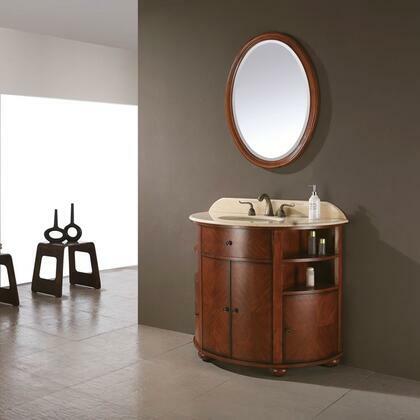 This piece is great because it maximizes any space you have. I don't have a lot of space so all the drawers help me keep organized. Great buy.